I had to sell a very grand but unusual house after I had already moved out of state. For a period of two years, the house had been listed with two other agents, and I had to fly in and out every other month to clean and maintain the house, and work on the yard. It was incredibly stressful. That changed the moment I met Middie. He did an amazing job by immediately organizing a maintenance schedule, suggesting excellent recommendations to improve the home’s appearance, and implementing a marketing strategy to get it sold. The house was always perfect and I was able to stop making trips to check on it. If anything broke or needed to be dealt with, he let me know immediately and he has a whole crew of repair and maintenance people who took care of anything that came up. They all did a great job! The landscaping was kept up, gutters cleaned, fences repaired, everything the house needed to stay beautiful. Best of all, zero worries! Middleton O’Malley and his team did a wonderful job, and sold my house. My only regret was that I didn’t list with Middie, first. Now that all is over I want to thank you and your team for holding my hand during this process. I didn’t anticipate that selling a property could be so stressful and full of hurdles. You helped me tremendously being friendly, competent, firm but never pushy. As my neighbors reminded me continuously, choosing you as my agent was the best decision I could have made. Now that it’s all over I hope we can stay in touch as friends. Hope to see you soon in Italy and toast together with a chilly glass of prosecco. I just wanted to acknowledge what an outstanding job Middleton O’Malley did in selling our house. He only had it on the market for two days before we received several offers, all above the asking price. The final offer was more than 10k above what we had expected to get. It was a real pleasure working with Middleton; he made a potentially stressful event an truly enjoyable experience. Today we are in our dream home, in our dream neighborhood. We would not be here without the support and guidance of Middleton O’Malley and Mary Margaret Keane. This superb realtor team is an extraordinary combination of saints and warriors. Their partnership is seamless — allowing us to speak to one and get an answer from the other. While each agent has a strong understanding of the city, neighborhoods, types of homes, and housing construction, their individual strengths combine in a way that feels like you are being supported by more than two people. Middie is a very strong negotiator with the experience and confidence to know when to steer us away from poor choices. 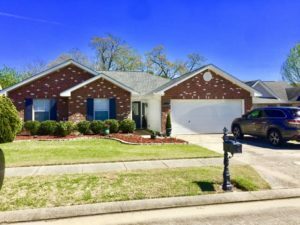 As a long-established resident of New Orleans and a homeowner and investor himself, he has a vetted list of quality service vendors for use during inspection and post-sale. Mary Margaret has the ability to understand her clients’ desires (even when the two of us couldn’t agree!). She combines her knowledge of technology with determination to search properties and locate great alternatives. They both have tremendous patience, but also the ability to move on when the client feels stuck. Spending time with Middie and Mary Margaret is a joy — like you are part of an adventure where they are guiding you and keeping you safe. And laughing. And eating! When it came time for us to downsize from our uptown home, Middleton and Mary Margaret provided a network of support which made the project possible. They helped us obtain expert advice on the improvements which would make the house more saleable, directed us to reliable tradesmen who did the work for us, and put together a sophisticated and effective marketing program. The result was that in 24 hours, we had four bids and sold the house for $10,000 more than the asking price. Now we are happily settled in a lovely apartment which Middleton and Mary Margaret helped us find. We are pleased to recommend them without reservation. Moving to a new city as a senior is really a challenge. My experience with Middleton has been pleasant and enjoyable. He is simplifying this process and he clearly understands the needs of aging baby boomers. Because he also works with professionals in many fields, the teams makes moving far less of a hassle than I anticipated. Middie was more than a highly competent professional with great contacts and resources. He took the time to get to know us and what we were looking for in a home. Middie quickly understood our needs and was a joy to spend time with. We have recommended him to all our friends and they have had the same great experiences. When we were ready to buy a rental investment property, we went back to Middie and he shared excellent advice and knowledge on investment properties. Middie found my perfect home. Middie represented me as a buyer in a steadfast search for a home that met all my desires. During negotiations he was responsive, knowledgeable and demonstrated excellence in his professional recommendations. Middie is a stellar buyer’s advocate. He made me feel as though I was his most important client. Middie is differentiated by his top notch communications skills, experience, and service to his clients! We especially recommend him for relocations as Middie was a terrific resource for all things New Orleans. Middie was the listing agent for our beautiful Garden District home we purchased when we relocated to New Orleans. We were so impressed by his commitment to his clients and his ability to facilitate a smooth and quick close. Throughout the entire process, from open house to post close, Middie was engaged, extremely responsive, and available to answer questions and resolve any issues that cropped up. 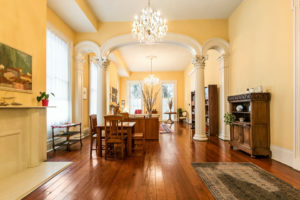 It is a pleasure for me to tell anyone who asks what a great experience it was to have you as my Realtor in the sale of the French Quarter house at 1010 Burgundy Street. I apologize for sending you an email ratter than a formal letter, but I send you all my best. Middie made our home dreams come true, and we are to this day firmly convinced that those dreams never would have been a reality without Middleton O’Malley. In what had to be one of the most complicated and delicate real estate transactions, Middie managed to meet all of the needs of three separate clients, and he did so with the highest ethical standards and professionalism. One client was looking to sell a house, another client was looking to buy a house, and our family was looking to do both, Middie made it all happen by carefully isolating the desires and interests of each client in order to ensure that every one of us left the transaction feeling like winners. He made what could have been a miserable and disappointing endeavor a great success, and we regularly toast him for his heroic efforts as we enjoy the beautiful new home that we never thought we would get! Letty Di Giulio, Brad Harrigan, and Keely. 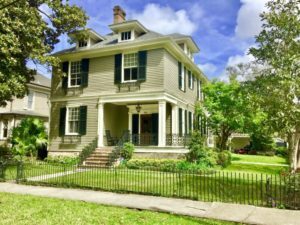 As a newcomer and first-time homebuyer in New Orleans, a friend recommended Middie to help in my house hunt in a competitive and tough buyer’s market. And what a fortunate and fine recommendation it turned out to be. Middie quickly analyzed and understood what I was looking for in a second home. 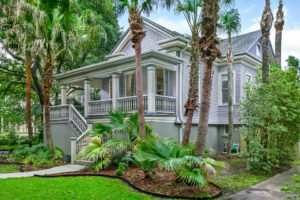 He found the perfect uptown cottage at the right price in the right location and then orchestrated a very complex transaction with other clients. The negotiations and closings went so smoothly and amicably that we sellers and buyers gathered at a local bistro to toast him for representing us with honesty, professionalism, discretion, and personal attention. We all agreed it would not have happened so seamlessly without him. Well done. Just a note to thank you for the way in which you handled the sale of our house in New Orleans. You are terrific! As it had been several years since I had seen the house, I was sure that it would need a lot of work, not least because it had lain vacant for months. 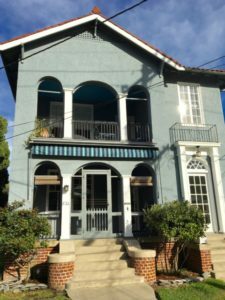 I would have had to make several trips to New Orleans and arrange for the repairs and renovations, so when you volunteered to undertake the responsibility for managing the process, I was greatly relieved. I had no idea what needed to be done or how much it would cost, and it was easy to imagine $15,000. When you came back with a much lower budget estimate I was delighted, and more so when you brought the job in on time, and in budget. And then you put it on the market when you promised, and sold it for 100% of asking price the day before the first showing!!! You did a fantastic job, and I would be happy to recommend you to anyone proposing to sell a house, especially a house that needs work before it is shown. Working with you on the sale of our French Quarter condo project was nothing short of astonishing. We thoroughly did our homework prior to selecting your services; credentials, expertise and demeanor; and you were the right combination for us. Your experience with historical properties and your “Green” designation put you in a category all of your own. We look forward to a long-term pleasant relationship with you. We highly recommend Middleton O’Malley for your Real Estate needs! Founder and CEO of Healthy Exposure, Inc.
Congratulations on a terrific sale. Philip and I are thrilled with the outcome of our engagement with you. Thank you so much for all of the hard work you put into making our sale such a successful one. You priced our house ambitiously and we sold for more than we imagined was possible, and certainly much more than what we paid just two years ago. Your counsel was invaluable with staging, navigating a tough market, and introducing our home to potential buyers. We were grateful that you had us under contract so quickly. Good luck in all of your endeavors. If ever we move back to the region, we’ll call you first!